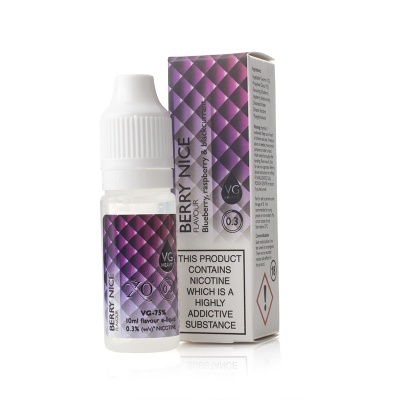 The Liberty Flights XO Berry Nice VG E-Liquid is a 10ml bottle of e-liquid designed to provide a varied flavour blend of blueberries, raspberries and blackcurrant for a fruity vaping sensation. The Berry Nice flavour has been designed to mimic the taste sensations of blueberries, raspberries and strawberries for a fruity and sweet vaping experience. This e-juice is made from 75% Vegetable Glycerin and 25% Propylene Glycol. If you'd like this same great flavour with a lower VG content, the Liberty Flights XO Berry Nice VG E-Liquid is also available.